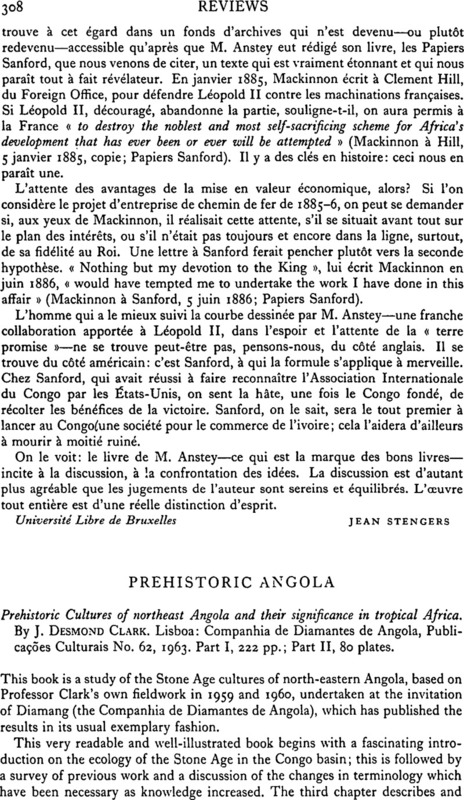 Prehistoric Angola - Prehistoric Cultures of northeast Angola and their significance in tropical Africa. By J. Desmond Clark. Lisboa: Companhia de Diamantes de Angola, Publicações Culturais No. 62, 1963. Part I, 222 pp. ; Part II, 80 plates.